This is so simple that it’s not even a recipe really but I’m still posting it because it’s a delicious way to have some chocolate in the middle of the summer. The peppermint is refreshing and you have to keep these little chocolates in the fridge, so it’s a nice, peppermint experience. 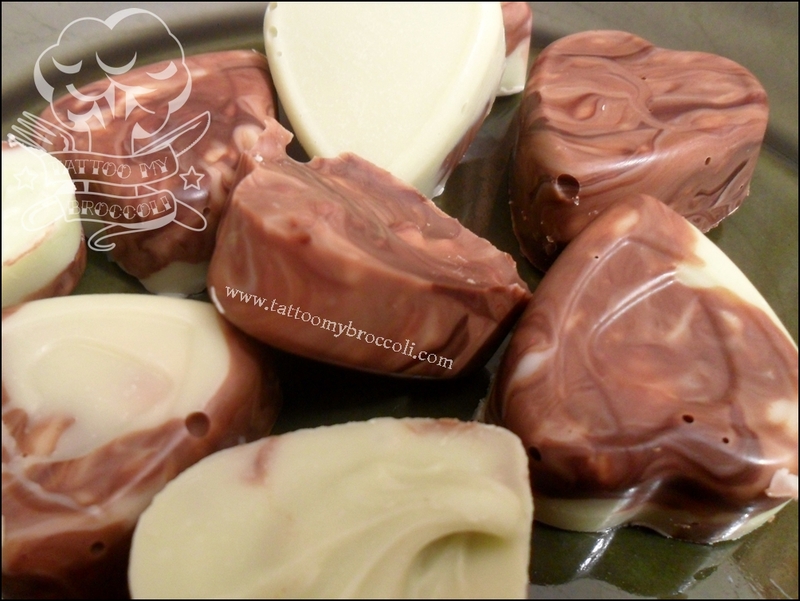 Divide the chocolate into two portions, one with dark chocolate. Microwave for 30 seconds to 1 minute until melted but not scorched. 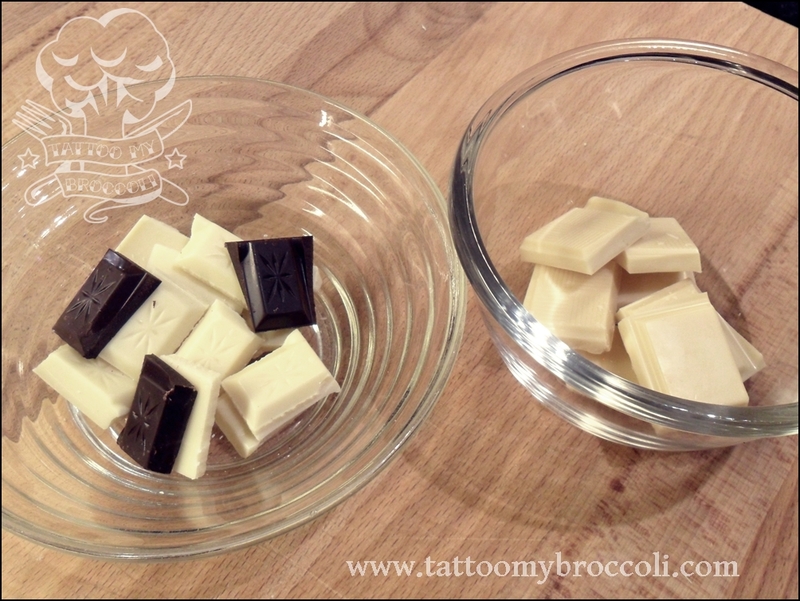 Add the peppermint oil and food dye to the portion without dark chocolate and mix. 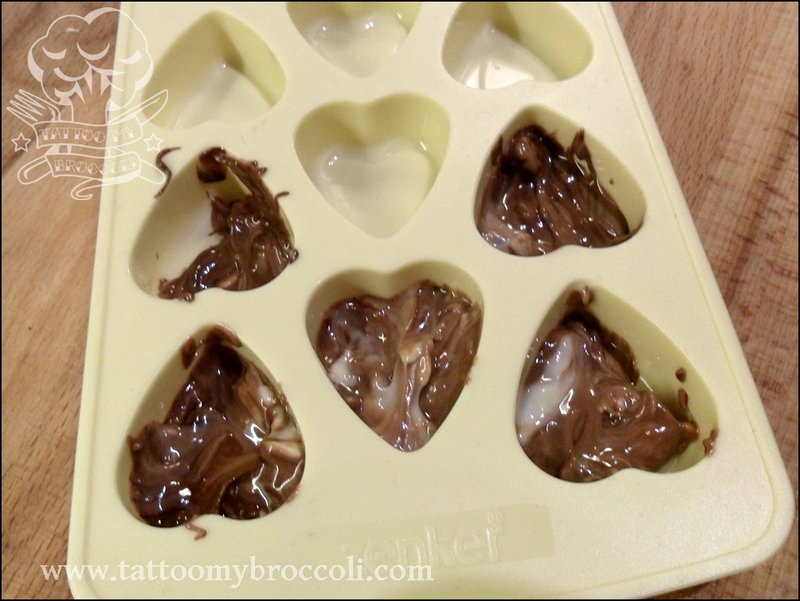 Fill little molds with a mixture of the two chocolates and refrigerate until the chocolates are hard and easy to pop out of the molds. Blueberries are not in season yet and when they are I will be in the forest foraging for them, with a bucket. 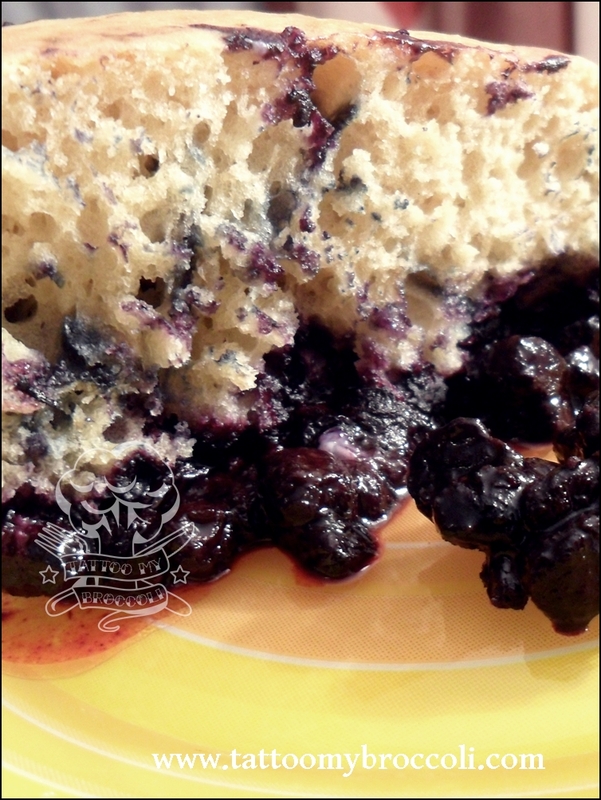 Thankfully though, frozen blueberries are always there to rescue me when I have a blueberry craving. In Norway, I am certainly not alone in having blueberry cravings and I am quite grateful that I live in a country where people understand my devotion for different kinds of berries. Norwegians are not afraid of black, white or red currants which are grown in gardens and made into jams and syrups, lingonberries which are a very popular sauce or jelly for meat, juniper berries as a spice and the list goes on. Thank you Norwegians, I can be berry-crazy with you. So anyway, this idea came to me after I got this all steel skillet for Xmas last year and I liked it so much I wanted to make everything in it. So why not cake? A quick look at Pinterest showed me that it’s not a new idea and it’s doable. So off I went into the kitchen and put my favourite ingredients together to make this cake. I hope you’ll enjoy it as much as I did. My significant other says this is an amazing cake to have vanilla ice-cream but then he’s a bit of a sweet tooth. Make sure your skillet is ok to go into the oven before you start. If you have an iron cast or all steel, you’re golden. If however, there is a plastic handle on your pan, you’ll have to consider making this recipe in another vessel. The skillet I have is 28cm/11 inches. Check that your skillet fits in your oven and you can close it. 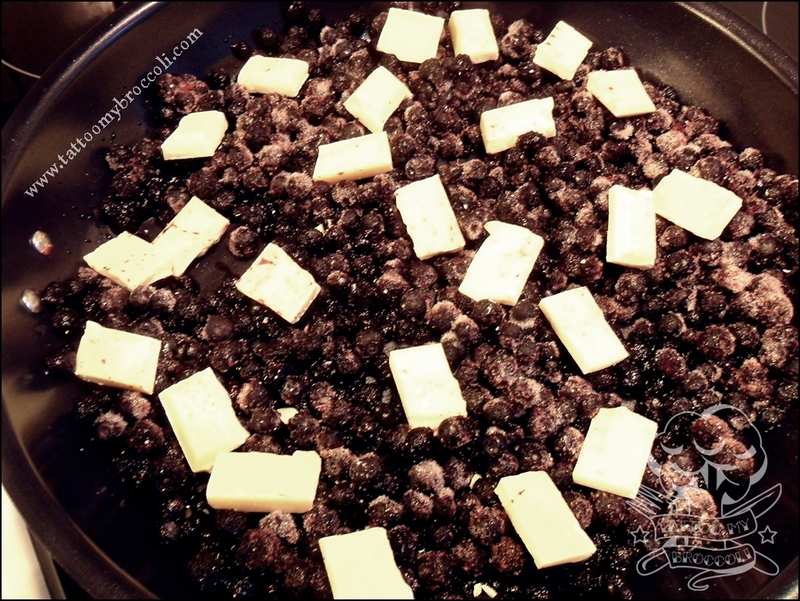 Place the skillet on the stove top and add blueberries. Put on low heat. Break the chocolate into pieces and add to the skillet. 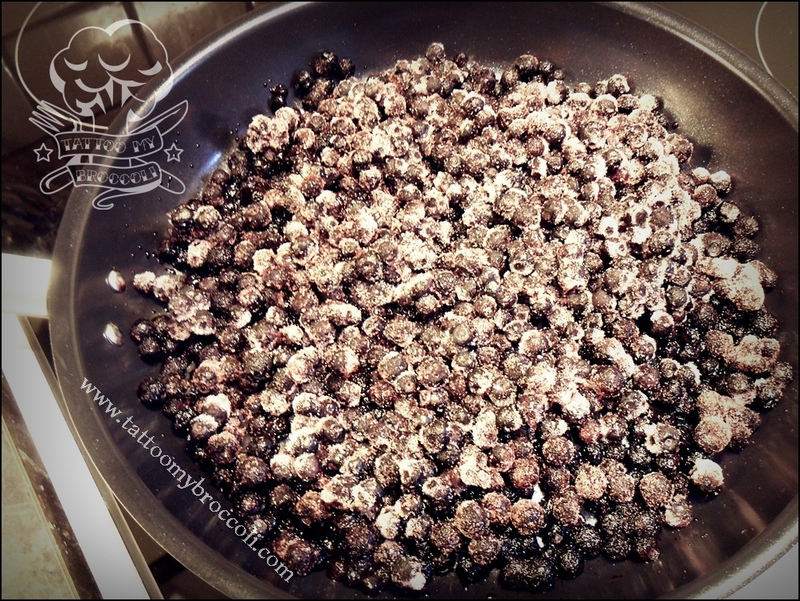 While the blueberries are slowly defrosting in the pan, make the rest of the recipe in a bowl. Start with the wet ingredients. In a mixing bowl combine eggs, milk, applesauce, vanilla and sugar and whisk until combined. Once that is done, add flour, baking powder and salt and mix until just combined. Do not whisk or continue mixing. 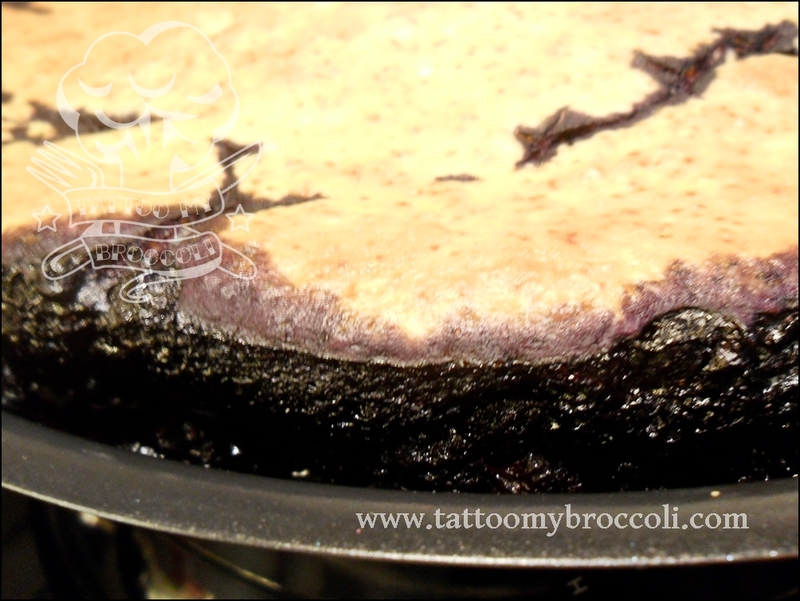 Switch the heat off under the pan, at this point blueberries should not have the frost on them and the chocolate should be soft when touched. 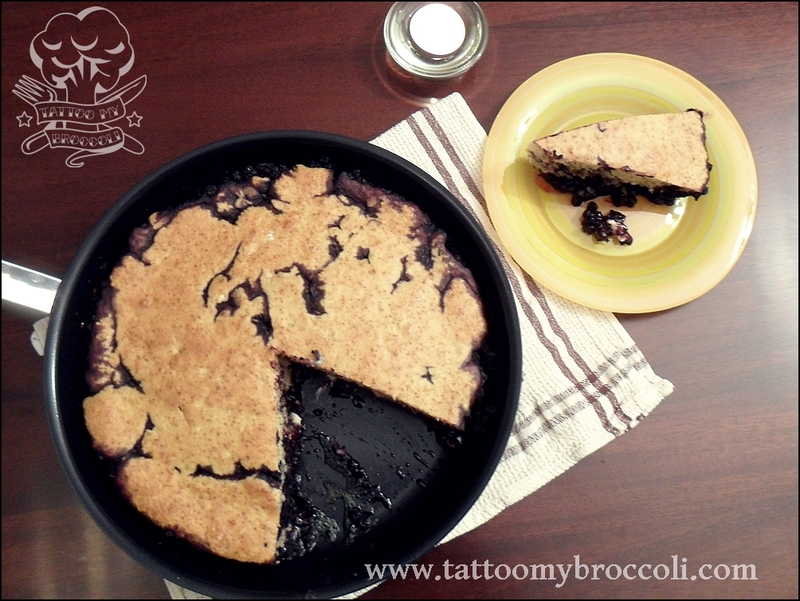 Gently layer the cake dough onto the blueberries and place the skillet inside the oven.